Warning – Not for the squeamish! 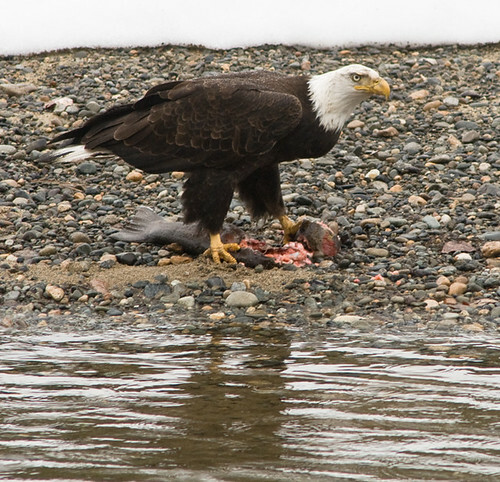 On the way home, we spied a Bald Eagle eating a hatchery raised Steelhead on the bank of the Methow River. We wondered how the bird got it. Was it stolen from a fisherman who’d left a prize catch sitting in the snow? 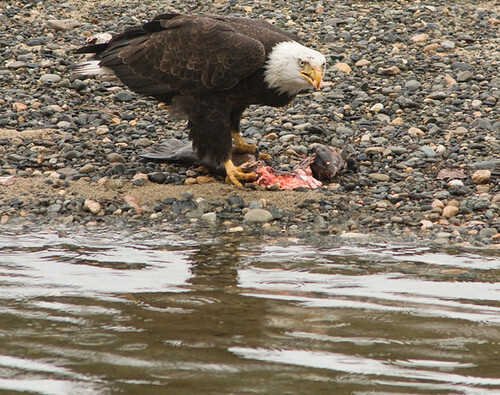 Was it a fish that had died after being caught and escaping from a line? 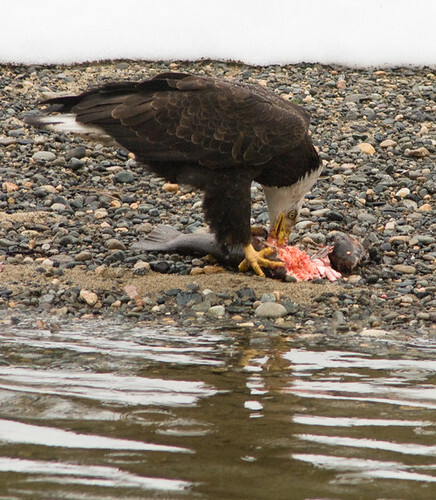 The Bald Eagles around here are primarily scavengers, not killing their own food. 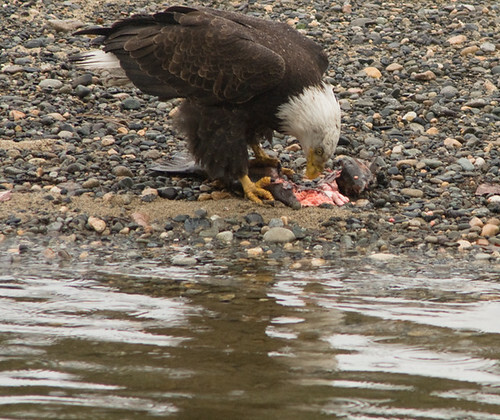 However it was procured, this bird had a very good meal before flying off with the head. Yup. 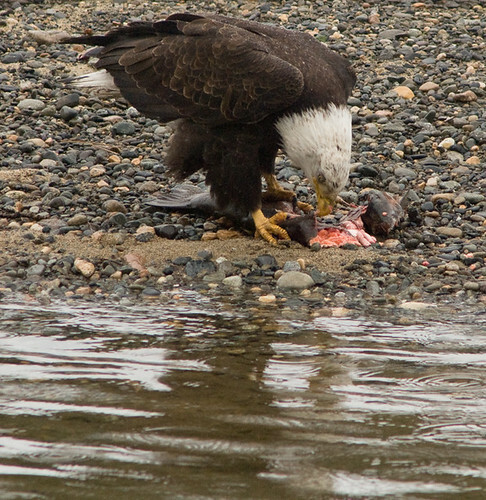 The Turkey Vultures leave and the Bald Eagles arrive. Someone’s got to clean up the carnage. Saw a vulture over Brewster yesterday.